While the younger Béla Fleck is highly popular, and a vastly more versatile player, the bluegrass connoisseurs’ choice of banjoist is James Dee Crowe, known as J D. He is praised for his touch, his tone, his taste and his all-around musicality. A fine singer and songwriter, he is a bluegrass legend. His healthy distrust of the industry a refreshing salve in a world of marketed and monetized lack of risk. So, to place him in a bit of context – Bluegrass was essentially started by Bill Monroe and refined by others – the Stanley Brothers, the Louvin Brothers, Scruggs and Flatt, the McReynolds brothers. Between the late 1930s and the late 1940s. Around 1965, that generation that grew up listening to folk music but also the Beatles and Elvis start to evolve bluegrass. You can very roughly split the players into two camps – the traditionalists and the reformers. This is not to say that the two camps never met, nor necessarily feuded. Mostly everyone got on fine. Yes, Monroe, who both didn’t like, and thrived on, competition, wasn’t always happy, but supporters of both camps worked and played with each other. Unlike, say Sam Bush (see Toppermost #155), or Peter Rowan, J D played a more ‘pure’ form of bluegrass, but tended to avoid old time styles, like the late John Hartford or the younger and still active Mike Compton play. J D can and has played most styles – he prefers a more progressive approach, it seems. A strong vein of country music (as opposed to pure bluegrass) and rock and roll runs through his work. He expands not only the range of the banjo, but its vocabulary; many licks, fills and phrases which are in common use now, started from a J D recording. He has retired from the industry several times – he was a mailman for a time. These breaks helped keep him fresh and motivated. This latest retirement (with him reaching 80 last year) is likely permanent but his fans will always clamour to see him. He is often introduced with the moniker ‘legend’. Few deserve that title. But J D does. These won’t be in any order, not even chronologically. And no doubt I’ll annoy fans by missing out on key songs. But since when has Toppermost been about that? So, let’s have a wander through the exquisite banjo playing and songwriting of James Dee Crowe. 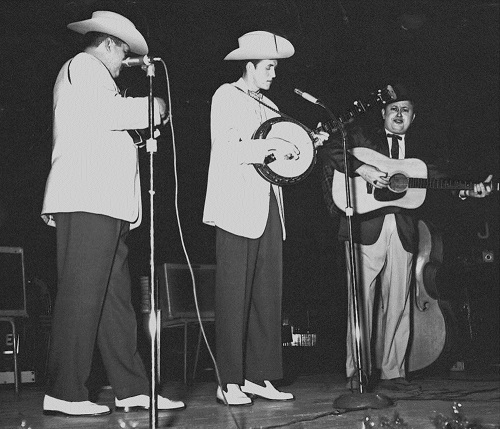 J D started playing the banjo when he saw Earl Scruggs play with the Bluegrass Boys – Bill Monroe’s band – in the classic lineup. He played in the Jimmy Martin band, the Sunny Mountain Boys, in the 1950s. Most bluegrass players looked to Earl Scruggs as a model – J D did too – but Martin’s own idiosyncratic approach to bluegrass meant that J D developed a style that remained rooted in the Scruggs style, but developed in a more modern way. After he left Martin, he formed The New South, which was to eventually host a Who’s Who of bluegrass, including Tony Rice (himself worthy of a Toppermost), Jerry Douglas, Ricky Skaggs (another Toppermost worthy), Vassar Clements (actually, nearly every member of the New South is worth his own toppermost) and others. Apart from his solo work and a punishing session load, he’s also famous for the Bluegrass Band albums. My selection comes from his solo work, the New South and the Bluegrass Band. There’s a caveat that all of these could yield an easy 10 so I suggest, if you are interested, start here and keep digging. I have referred throughout to Marty Godbey’s “Crowe On The Banjo: The Music Life Of J. D. Crowe” for biographical details. Probably as much a mission statement as a great performance, My Home Ain’t In The Hall Of Fame’s inaccuracy in J D’s case most likely stems from his discomfort with the ‘Nashville Sound’ and his unique and individual approach to music. This was written by Joe Dolce, probably most famous for his oedipal celebration of multiculturalism, Shaddap You Face. (Dolce is, as it happens, a significant artist, essayist, poet and composer). My Window Faces The South is a ripper of a song: much of what makes bluegrass great is in here. Nostalgia; that insidious emotion that has driven pop music since at least Stephen Foster’s Old Folks At Home is coupled with pride, intent and pure joy. J D’s banjo is, as always, perfect. 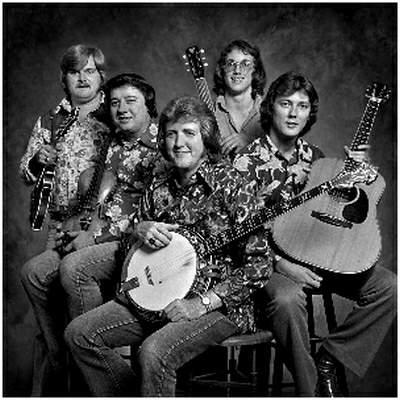 The album, J. D. Crowe & The New South, known as Rounder 0044 – the eponymous debut of the New South in 1975 – changed bluegrass and how it was approached permanently. Gone was the rather narrow view of bluegrass which had been laid down by its creators. The album featured traditional songs such as the standard Sally Goodin, but also covers by songwriters like Gordon Lightfoot. Even the name of the band was a statement of intent: this was not the old south – it was new and modern. Lightfoot’s Ten Degrees (Getting Colder) is an outstanding track from this outstanding album. You no longer had to do just bluegrass – New Grass Revival and the Country Gentlemen had done rock and roll pieces – but to be fair, rock and roll, particularly the rockabilly strand was just bluegrass with electric instruments. Now rock music, and folk music (as redefined by people like Bob Dylan) were on the table. This album shaped bluegrass in general for years after. From the same album we have the Flatt and Scruggs composition, Nashville Blues. For even the most adventurous fans, a band like the New South had to prove their credentials by playing traditional bluegrass (cf New Grass Revival, Sam Bush, Punch Brothers, and more). This track takes on the master – Earl Scruggs – and shows that the new has just as much value as the old and vice versa. White Freightliner is a marvellous trucking song, written by Townes Van Zandt. It has a great groove – the truck rolls along, but its major key happiness is underscored by some tragic lyrics. Great musicianship, particularly by Glen Duncan on violin, and a wonderful mandolin solo by Dwight McCall. Of course, a magnificent banjo part by J D. It demonstrates that you don’t really get any troughs in J D’s career. Even in 1998, decades after his first musical successes, he’s still at the cutting edge of quality and musicianship. The next instrumental is Runaround. Deceptively simple, the placement of the notes is superb. This iteration of the New South included Sam Bush, as Wendy Miller had left the band before the album was finished. Sam plays the mandolin solo, but J D’s banjo is a tour de force. The last three come from the Bluegrass Album Band. Devil In Disguise, written by Gram Parsons and Chris Hillman, opens the second album – longing, anger, regret – all in the song. The harmonies are gorgeous, and the musicianship, well, I’m not going to repeat myself. Another of the great Christian songs, The Model Church, is glorious in its vocal harmonies and restrained arrangements. Many versions have appeared. This is the best. 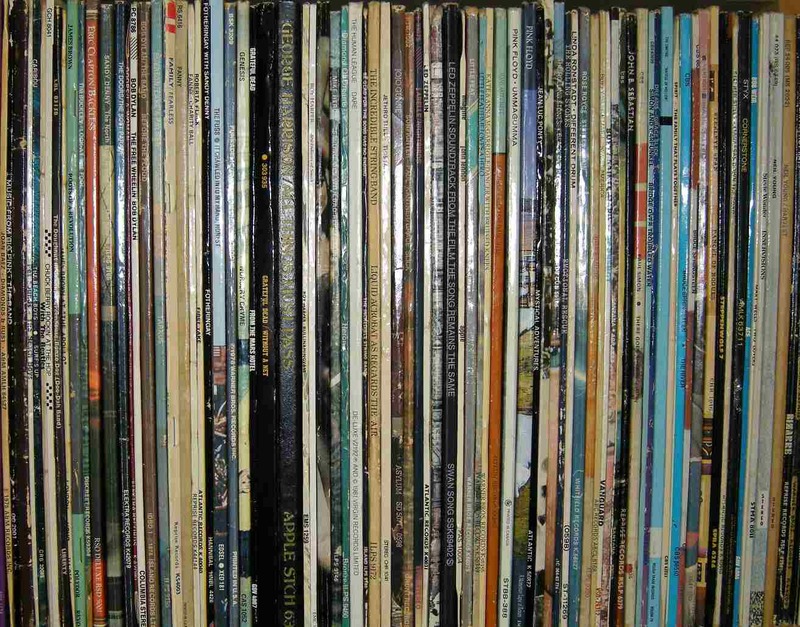 And finally, let’s go home with them to the Sweet Sunny South, a great album closer, and a great closer for this list. J. D. Crowe is more than just a banjoist – though he is eminently that. He is a great musician, a great bandleader and a deeply loved and respected member of the musical community. Not content with changing banjo technique and repertoire, he continually strove for excellence. As AllMusic.com said, J D didn’t crawl his way to the top, he just strolled up, and waited for everyone to join him. Let’s hope he’s enjoying his retirement and, selfishly, let’s hope it’s another temporary one. He’s earned a good one though. David Lewis is a fairly regular contributor to Toppermost. A professional guitarist, mandolinist, banjoist and bassist, he plays everything from funk to country in several bands and duos. He is a professional historian and a public speaker on crime fiction, adventure fiction, philosophy art, history and popular culture. More of his writing will be found at his rarely updated website. Some great listening and plenty of scholarship to go with it. I had to go and listen to the New South version of Sin City and was in no way disappointed. It’s almost up there with the original which for me is high praise indeed.